Hand dyed sock yarn. 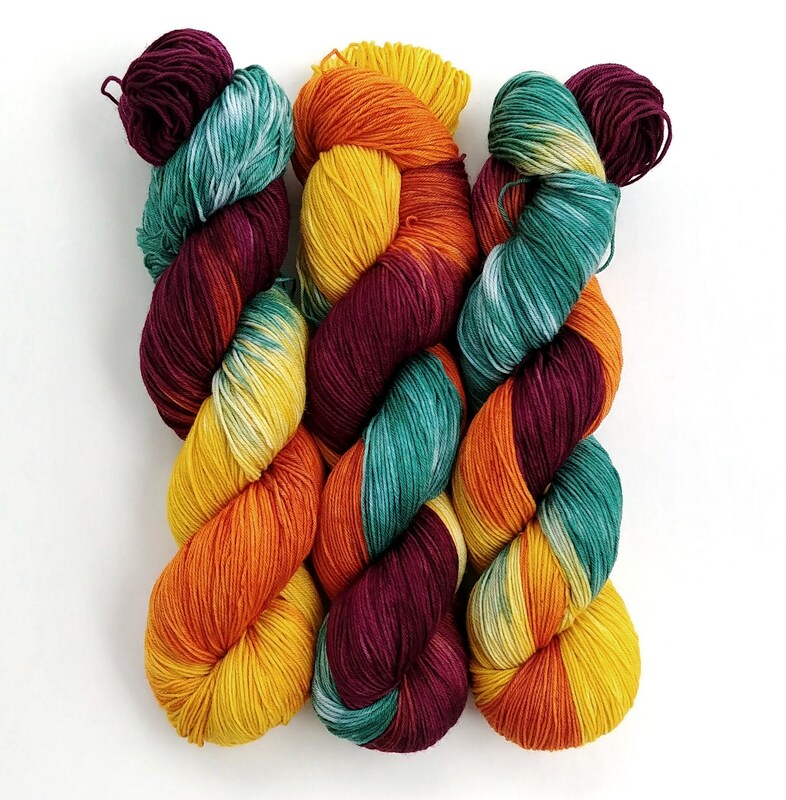 This yarn is just screams Autumn! It is dyed in a cheery yellow, pumpkin orange, green, and a deep burgundy. This listing is for 1 skein of Staple Sock.